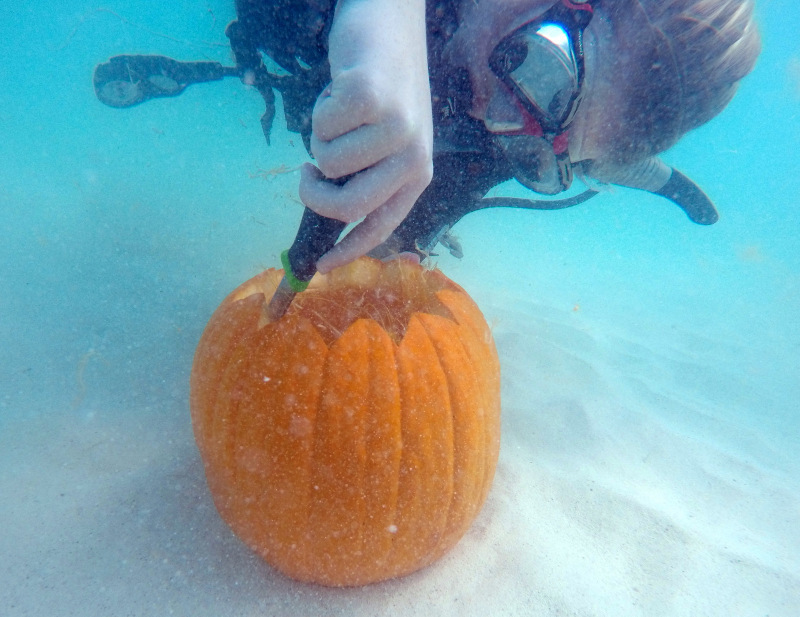 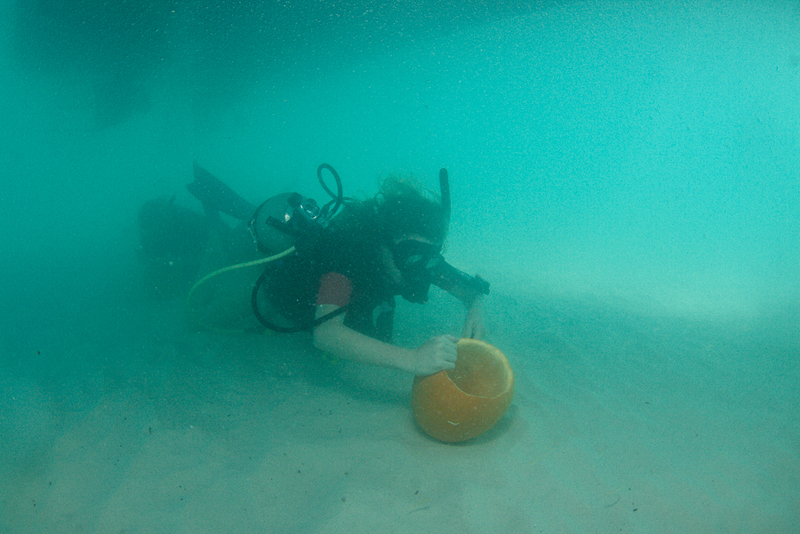 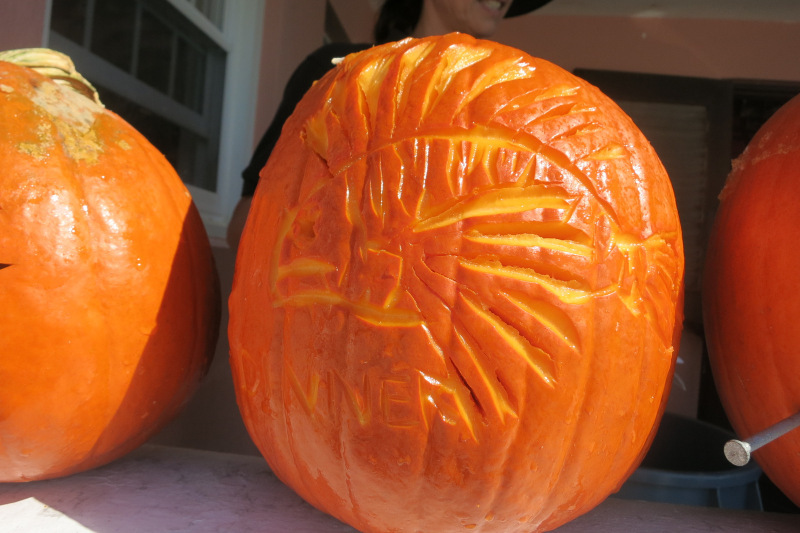 Dive Bermuda, in collaboration with Bermuda Ocean Explorers, held their Underwater Pumpkin Carving Competition on Halloween, with half a dozen SCUBA divers taking to the water with five pumpkins submitted into the contest. 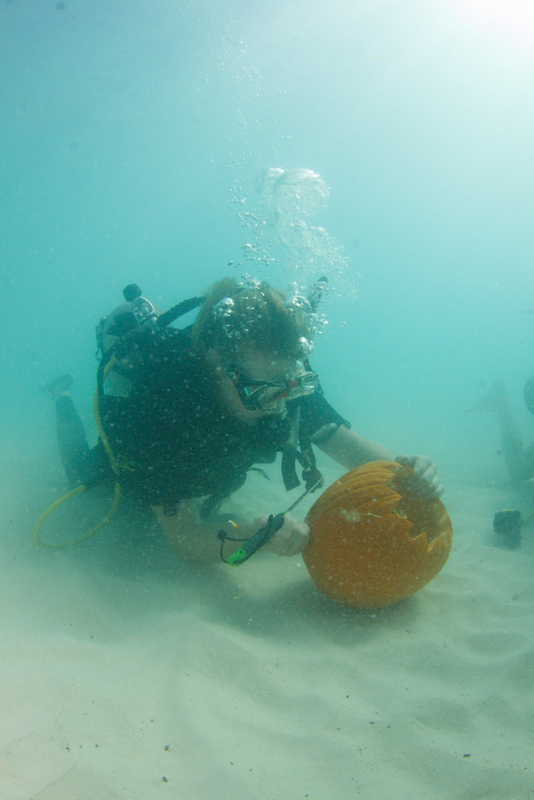 As pumpkins can float, contestants were allowed to cut the tops off and and take a few minutes to quickly draw a design before getting in the water. 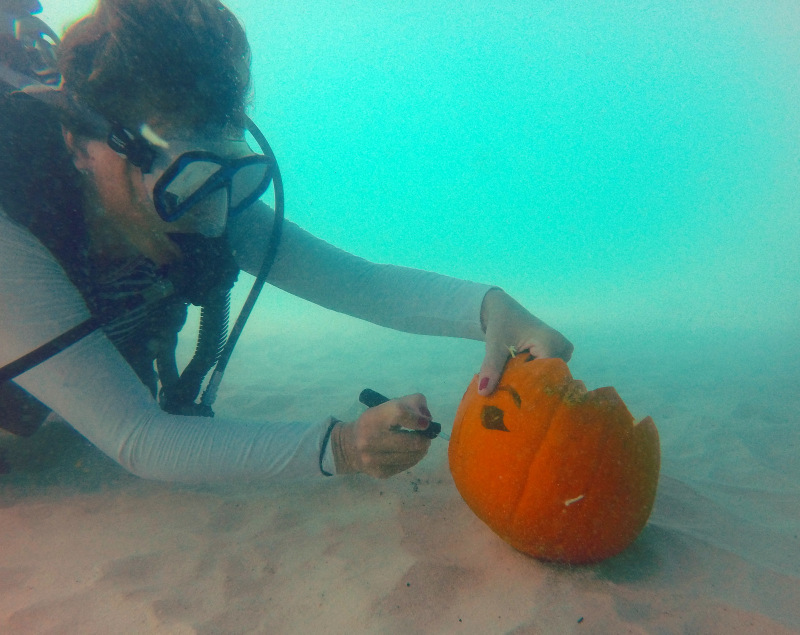 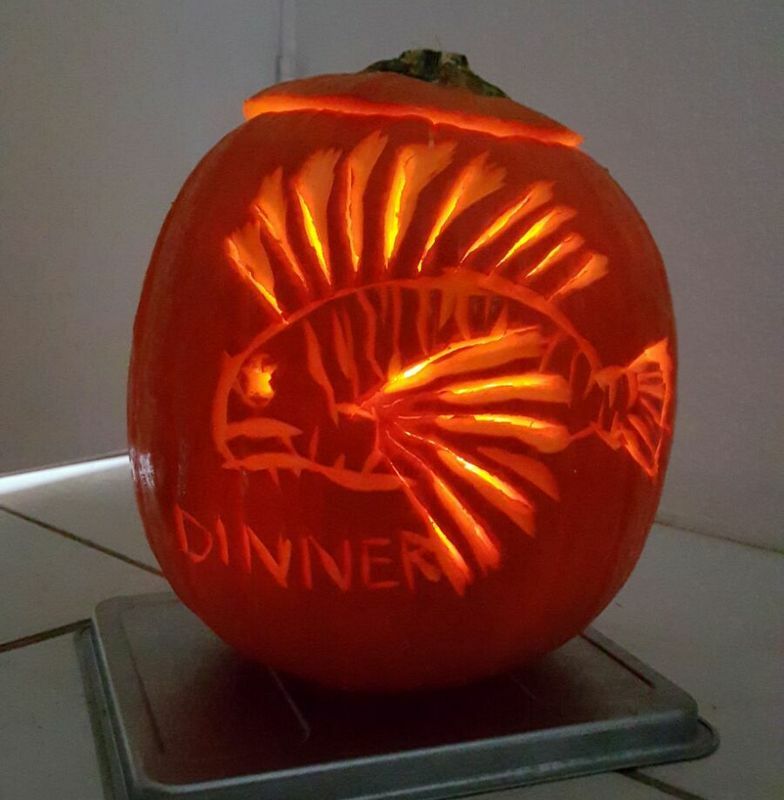 To make today’s carving contest even more challenging, a few fish took a special interest in the event and at times would get in the way attempting to eat the pumpkin. 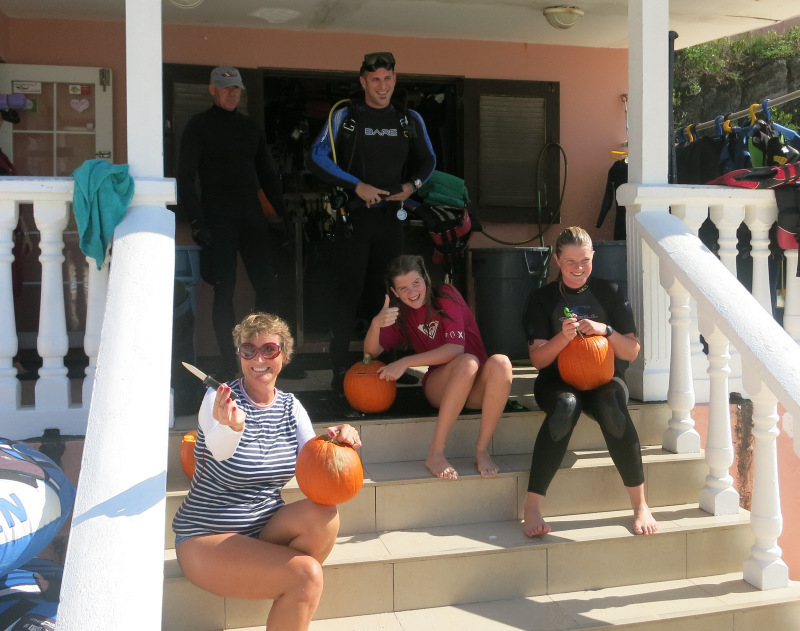 Prizes were awarded for first, second and third place. 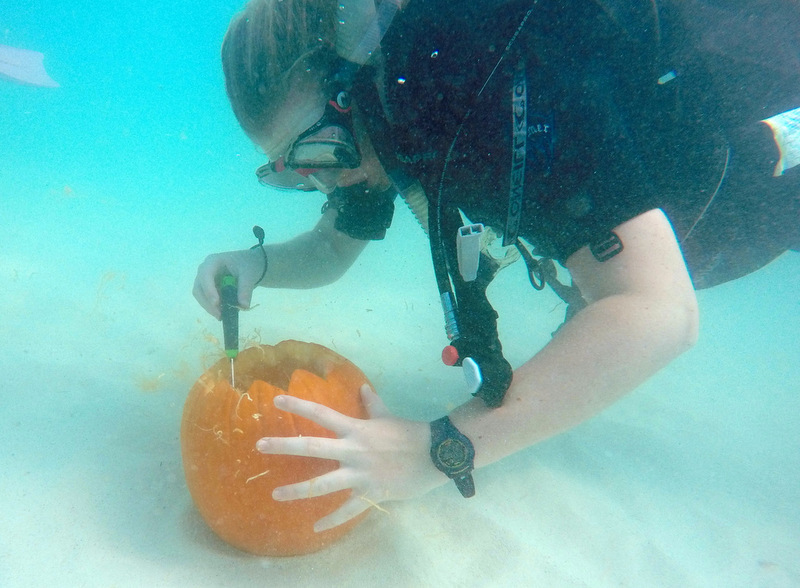 The first place winner was Adrienne Smatt who created a lionfish-inspired design, with Ms Smatt winning a 2-tank dive outing with Dive Bermuda and a few other prizes. 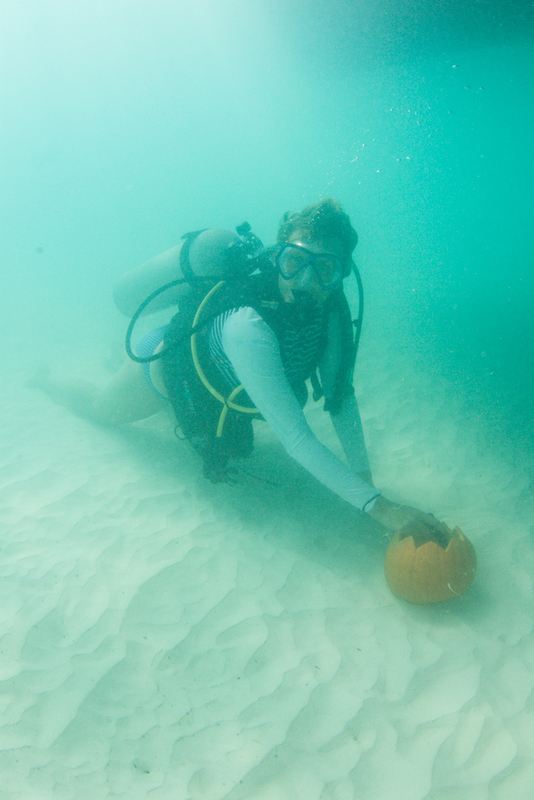 The event also served as a fundraiser, with 100% of the proceeds, which were matched by a corporate sponsor, set to be donated to Keep Bermuda Beautiful. 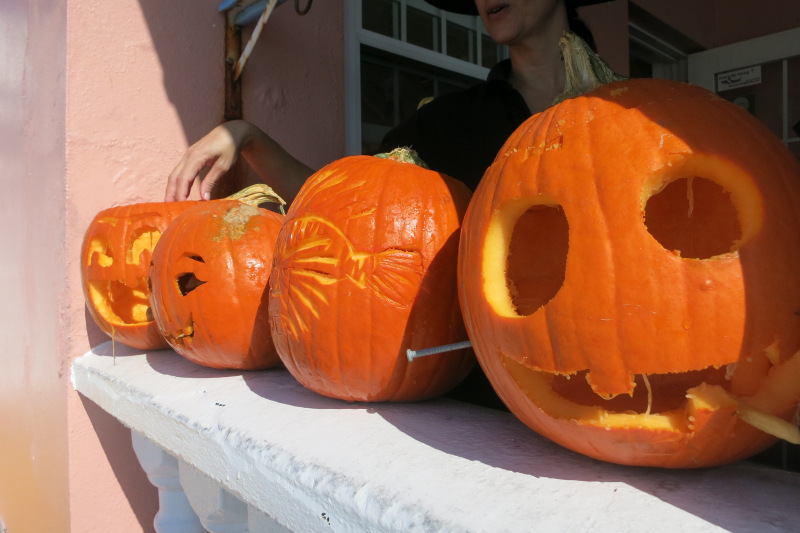 As far as our other Halloween galleries, you can view photos of the Pick Your Own Pumpkins event at Astwood Park here, the BUEI Children’s Halloween Party here, the Zombie Walk in Somerset here, the Bermuda National Trust FarmFest here, the Halloween Spooktacular at the Arboretum here, various haunted houses here, and all our coverage of Halloween here.